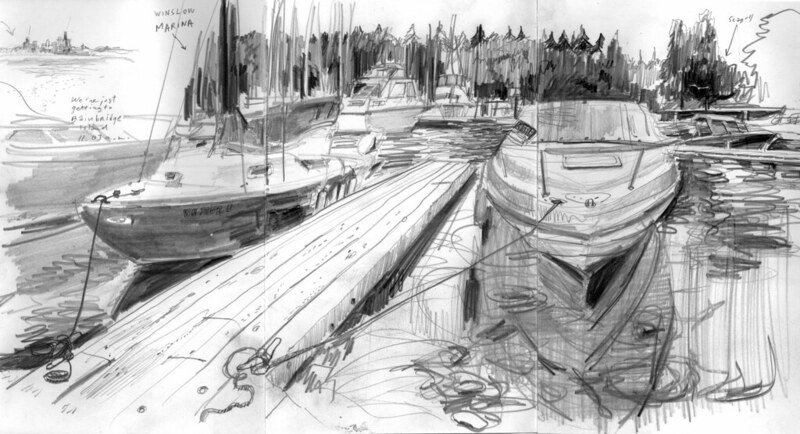 The sun never broke through the clouds during our escapade to Bainbridge Island, so I didn't miss my watercolors much that day. In fact, I decided to focus on pencil sketching, something I've been wanting to do for a while. 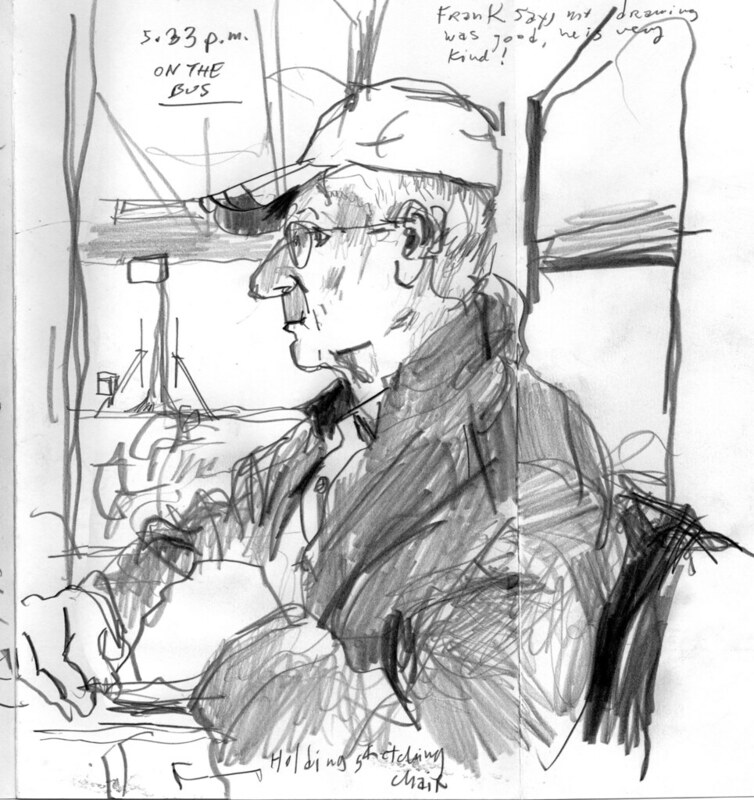 Frank Bettendorf makes a few appearances in the drawings I did. 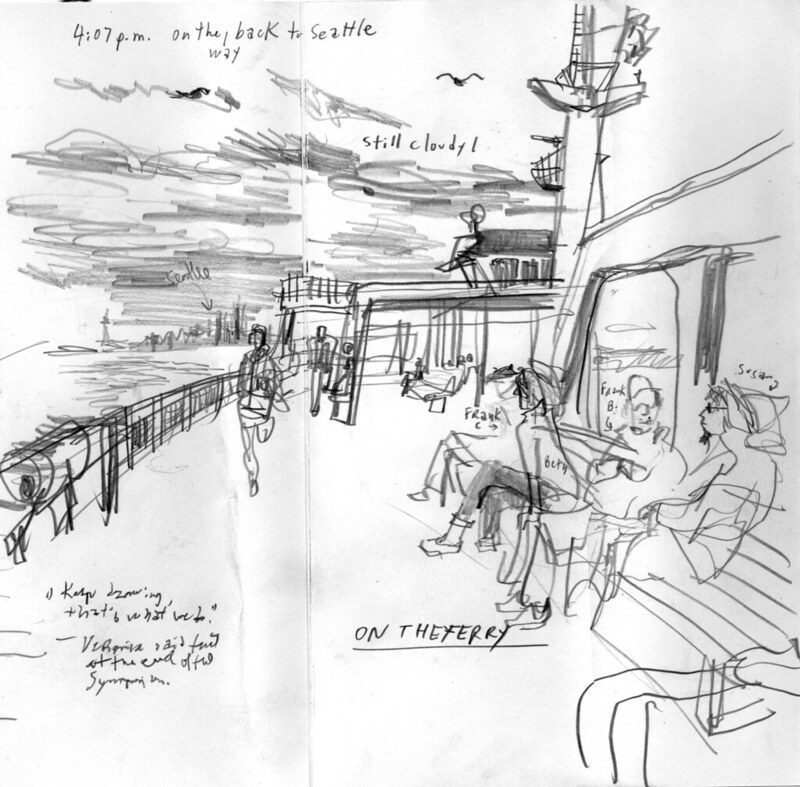 We took the same bus to Seattle and I drew him before, during and after the outing around Winslow. 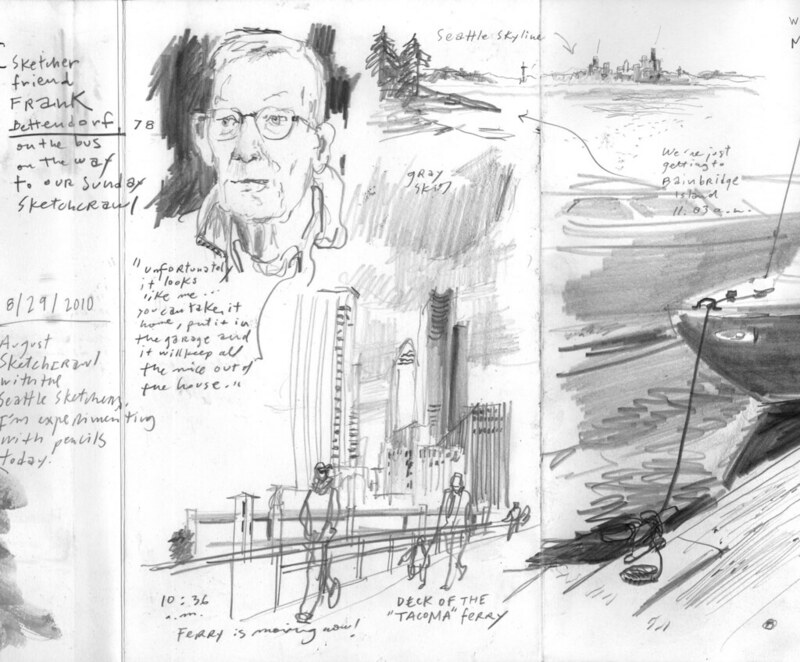 I had a blast sketching with Frank, who hardly ever misses a gathering of the group despite living two hours north of Seattle. 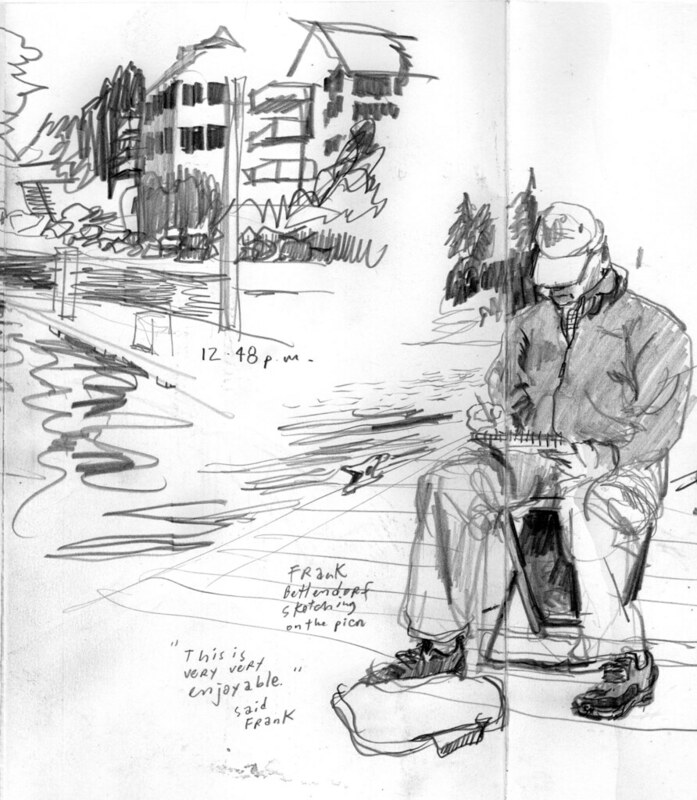 His enthusiasm for sketching is inspiring. My sketches don't do justice to his cheerful attitude and sense of humor. Of the first one I did, he said: "Unfortunately, it looks like me ... You can take it home, put it in the garage and it will keep all the mice out of the house." I love this series of drawings. And the new layout is great. Really focuses on the drawings. This is such a different look for you, yet it is still your style. You got such a range of values with the dark lines amidst the mid-tones. Were you using graphite?